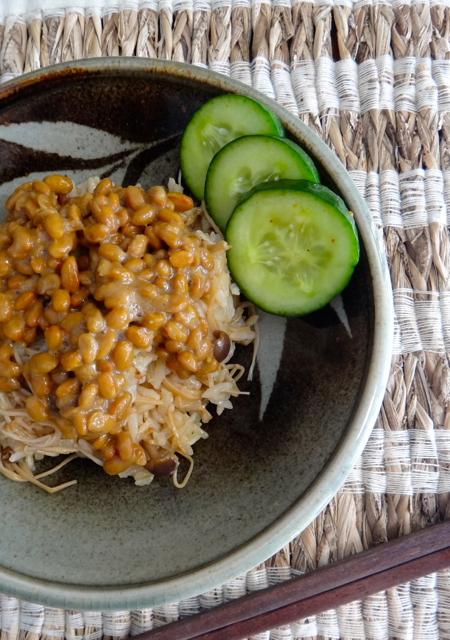 Tsukudani literally means ‘simmered in the Tsukuda Island way’ and describes a method of preserving food through slowly simmering it in soy sauce and sugar (as well as mirin and cooking sake) on the stovetop. Before refrigeration became commonplace, staple foods such as fish, meat, seaweed and vegetables were preserved in this manner. 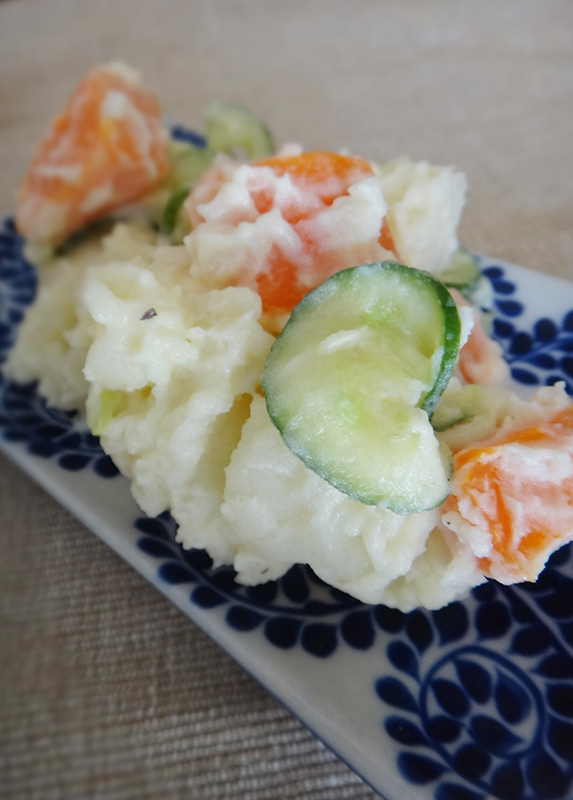 Today, Tsukudani is most often a side dish or condiment to enjoy with freshly cooked rice or filling for onigiri (rice balls). To be honest, I’ve rarely eaten or craved Tsukudani. I’d say it’s because my mother isn’t partial to it herself so I didn’t grow up with it. In fact, if food could become extinct, and Tsukudani was wiped off the face of the earth, I wouldn’t have missed it at all. It only recently caught my attention via a Facebook group for people of half Japanese parentage. Among the various Japanese food pics posted by the group’s members, Tsukudani seemed to generate the most excitement. Naturally, I became immediately intrigued and eager to eat some but it’s not something that my local Asian grocer keeps stock of. 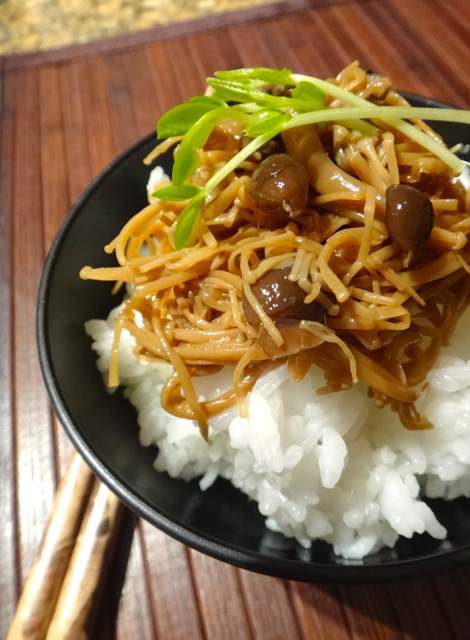 Online recipes for Tsukudani suggested that it was easy enough to make at home and I soon realised I could probably utilise the Thermomix. 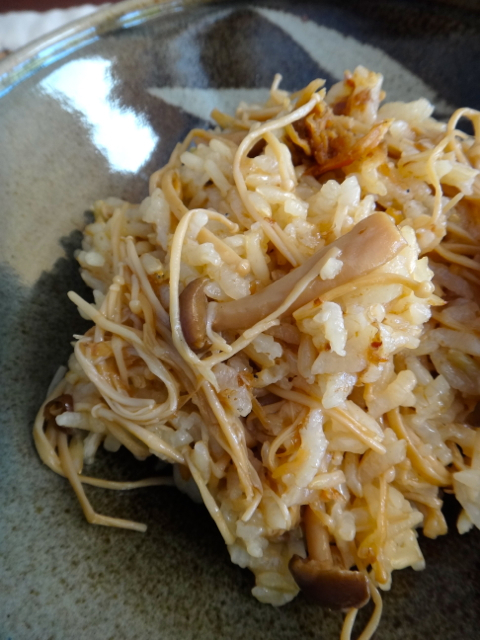 Having found a recipe for Enoki mushroom Tsukudani, I got to work. Mushrooms release a lot of moisture so I wondered if the Thermomix would be useful for this type of simmering (the TMX isn’t efficient with reduction cooking) but after about 40 minutes of simmering on 80C (Reverse, Soft), the mushrooms took on the caramel colour of soy and sugar. Most of the moisture was gone and the mushrooms had a nice al dente firmness to them. Happy with that experiment, I moved onto drier ingredients. I would have loved to make Tsukudani with kombu but it appears this umami packed seaweed is still contraband in Australia! 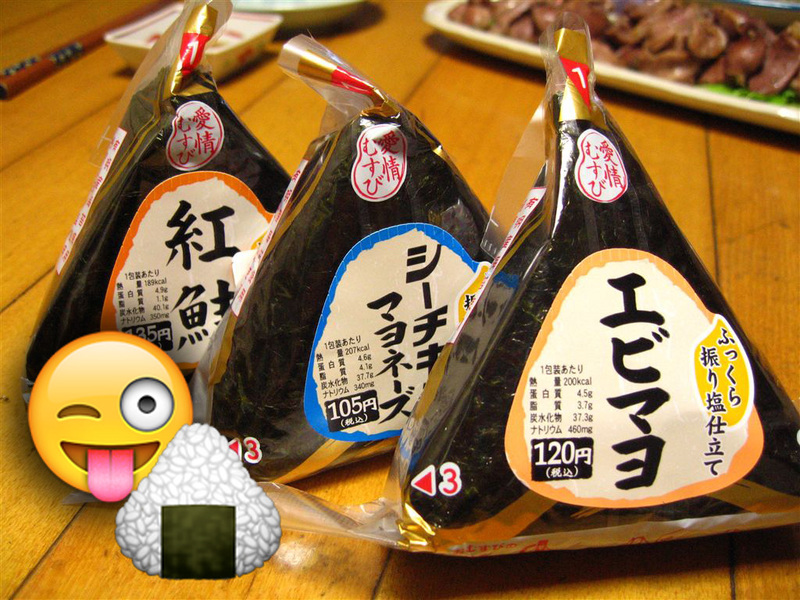 I came across recipes for Tsukudani using dried nori but it didn’t appeal to me. 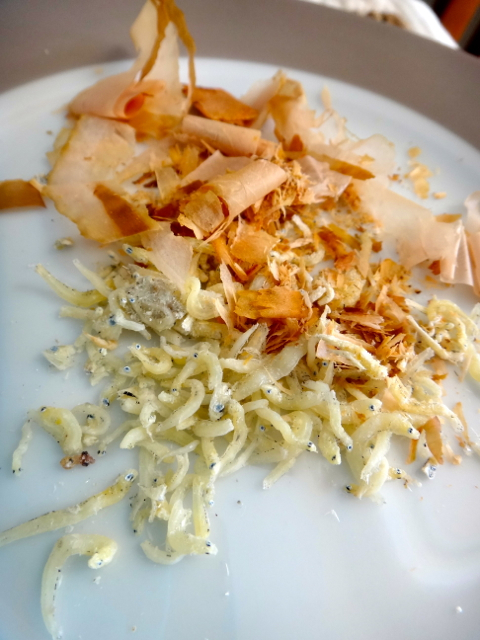 Instead, I made a batch with bonito flakes (katsuo) and tiny whitebait fish (chirimen jako). As you’d imagine, Tsukudani with dry ingredients takes less time to make so after about 15 minutes on 80C (Reverse, Soft), I stopped the Thermomix before the contents started catching. I followed the recipe at Umami Mart but reduced the amount of soy sauce by half since the whitebait is pretty salty from the brining already. The taste was fantastic but as my children pointed out, the smell wasn’t so great. 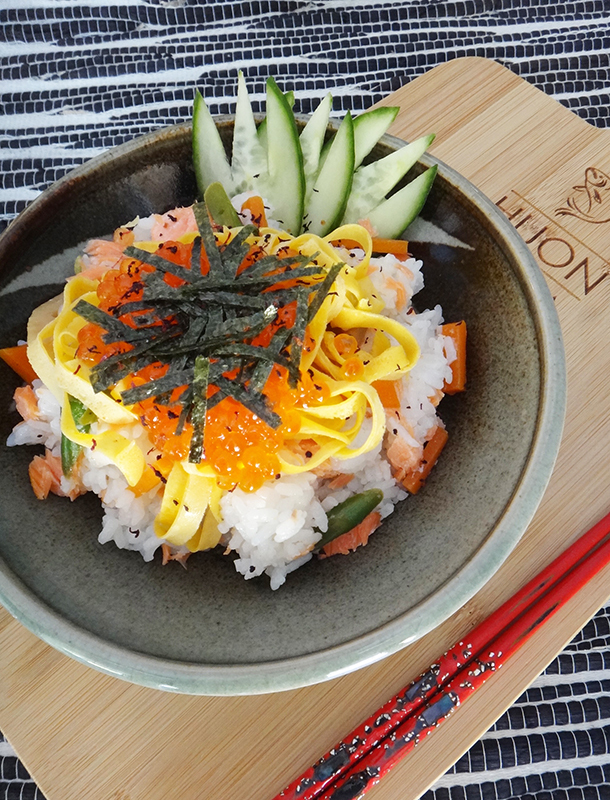 Unless you’re a fan of bonito flakes and other treasures from the sea, this isn’t the recipe for you! That seems like throwing out the baby, the bucket, the sponge and the bath water!